The rival faction led by Krishnankutty has been raising the demand to remove Mathew Thomas and it came up at the party state council meeting in July. THIRUVANANTHAPURAM: Close on the heels of demands within the Janata Dal (S) for Minister Mathew T Thomas to step down from the Cabinet and make way for Chittoor MLA K Krishnankutty, a section in state leadership has approached the national leadership with the demand. A section within the party is unhappy with the functioning of the minister. They feel the minister has not been consulting the party even in policy matters. At the council meet, national secretary Danish Ali had assured the issue will be brought to the national leadership’s attention. “However, with the floods and the subsequent relief work, there was no follow-up in the matter. That’s when the issue again came up at the party office bearers’ meet this week. 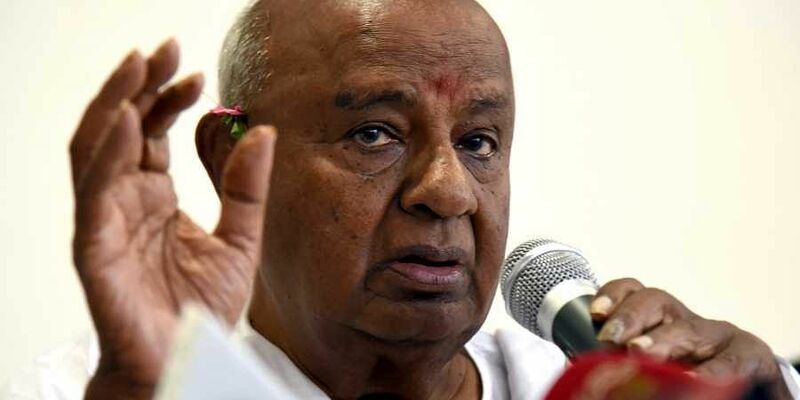 “It has been decided to take up the matter with Janata Dal (S) national president Deve Gowda, who will take a final call,” said sources. The Krishnankutty faction insists there was an understanding Mathew T Thomas will step down after a two-year tenure in the Cabinet. However, the other faction denies any such decision. With the rival faction strengthening its demand, now the JD (S) national leadership will take a final call.